When adding early spring color to your beds you need to get a good head start. This begins in the Fall with planting a variety of flowering bulbs such as Tulips, Hyacinth, Daffodils, etc. They need to be planted this early to have ample time for their roots to grow during the winter time and prepare for spring blooming. Below are some tips on proper planting of your bulbs for spring. Bulb planting starts with a keen eye for quality. Look for bulbs that are full and firm. You should stay away from ones that are soft and mushy or show signs of mold. When it comes to bulbs it is a case of the bigger, the better. 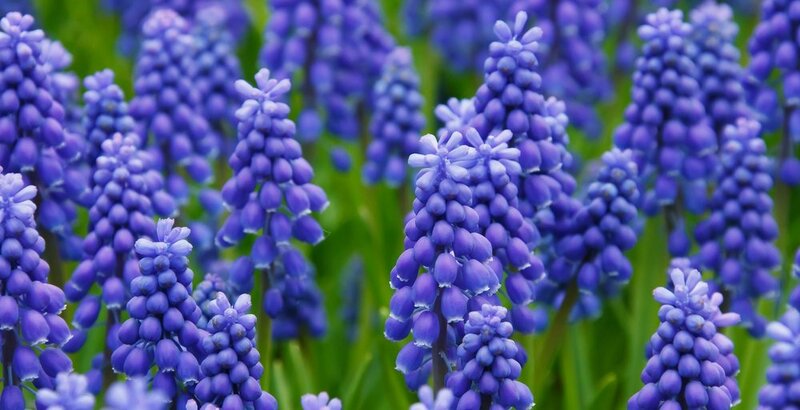 Larger bulbs generally give larger blooms & healthier plants. Even the healthiest plant or bulb will fail in the wrong environment. Most bulbs enjoy a spot with full sun, at least 6 hours of sunlight & well drained soil. When planting in clay rich soil you will need to dig the hole twice as deep as recommended. At the bottom of the hole spread a 2in thick layer of gravel for drainage, then a 2in thick layer of enriched soil mixed with sand to nest the bulb into. Place the bulb & cover with the same sand & soil mixture. Press the soil down on top of the bulb & top with soil mix. Spring blooming bulbs are planted in the fall. Plantings should be done between September to November after the soil temperatures have cooled. A very common question is how deep to plant your bulbs. A good rule of thumb is to plant bulbs 2 to 3 times deeper than the height of the bulb. As an example, a 3” tall bulb will be planted 6”-9” in the ground. There are some exceptions so be sure to check with our depth guide for bulb planting. The next most common question is “How do I know which side is up?” If it is a bulb with a pointed end, then the point goes up. If there is not a pointed side to the bulb then look for where the roots protrude out & that will be the bottom of the bulb. Bulbs enjoy a well draining soil with plenty of organic matter mixed in. Blending in a good compost will ensure a healthier plant and mixing in some sand or rocks at the bottom of a planting will give better drainage. This is especially important with heavy clay soils or soils that stay moist to avoid rotting. Weeds steal nutrients from surrounding plants and may attract insects or encourage disease. One of the easiest ways to block the weeds is to spread 2”-3” of mulch on top of your plantings. Bulbs will push their way through the covering, weaker weeds will be stopped. Your freshly planted bulbs will be looking for a drink of water like many plants. This will help the new bulbs to send out roots & get them established faster. This will also eliminate any air pockets that could dry out the bulbs prematurely. Anyone that has tried planting bulbs know how annoying the squirrels can be. They love to dig up a fresh planting. If a layer of mulch doesn’t deter these critters from digging, then place a piece of chicken wire over your planting. Be sure to secure it with some weights at the corners so nothing can get underneath. Remove your wire after the bulbs have begun to sprout in the early spring.